If you are an owner of a period property, then you will appreciate just how difficult is to make decorative changes that are sympathetic with the character of the building and its existing décor without breaking the bank. 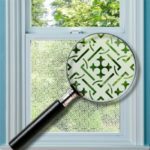 The good news is that – at least when it comes to your windows – there is an attractive and low-cost option that can be in-keeping with the house’s character while remaining attractive: Heritage Patterned Window Film. Heritage patterns help you to keep the unique style of your period home without having to go to the expense of completely replacing the glazing in your heritage windows. A variety of patterned window film designs are available, and we can also make new patterns to your specification, on request. All you have to do is call us with full details of what you need, and we can prepare a quote. If you want to revitalise the bathroom or kitchen in your period home, you can use our heritage patterned window films to give that period look for far lower cost than new glazing. Alternatively, you can retain the existing windows and have the benefits of specialist glass at a fraction of the cost – and because heritage patterned window film is temporary, you can change the look as often as you want without making any permanent changes. In the kitchen, you might choose to add glass partitions imprinted with an attractive design or add character to any glass-fronted cupboards. For the external windows, you can add partial or complete frosting for privacy or use attractive design elements to improve the look of your property. In the bathroom, as well as using window film to easily make any glass into privacy glass, you could also use window stickers to add decals or motifs to other glazed areas such as mirrors, glass blocks and shower screens. The possibilities really are limitless when you choose window film from Purlfrost! One of the main advantages of using patterned window film is the added privacy that it affords you – without having to replace heritage glazing with modern frosted glass, you can ensure that you are not overlooked while keeping the period character of your property and avoiding making any major changes that could be problematic to reverse in the future. You can even use window film instead of blinds or curtains to keep your windows wide and allow plenty of light in without cluttering them up with upholstery! Clear film: this kind of film allows you to see out through the window. It can be imprinted with a pattern, such as a criss-crossed “leading” design or even a stained-glass effect if you so desire. Coloured film: Opaque coloured film offers you complete privacy day and night – but be aware that you will not be able to see out of the window if you completely cover it with one of our solid coloured designs! Purfrost are specialists in window film, window stickers and wall coverings for the UK. We launched in 2003, and since then we have been offering beautiful window film as an alternative to blinds and curtains for homes. 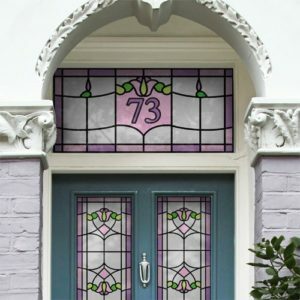 You may wish to add privacy to your windows with a frosted window film or add appeal to your period property with a customised stained glass-style design – whatever you choose, our range of window film products that can be delivered direct to your door and applied in a matter of minutes with astonishing results.